Guilt festers and multiplies, life becomes unbearable, and blackmail pushes an ordinary person already on a ledge into a freefall of irrational and deadly behaviours. 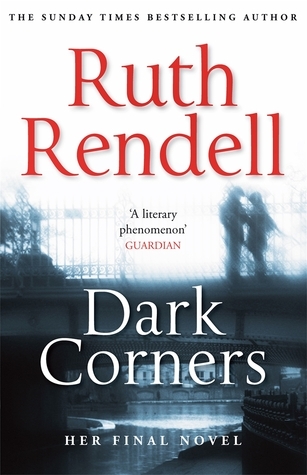 An interesting psychological profiling of the three protagonist – none are very pretty and only one has any redeeming features, however I felt the ending was a little mundane and the narrative was not developed enough for my liking. Murder served under done is a bloody thing. Recipes by Judy Phillips. Photos by Louise Lister. “Hungary is famous for its cakes, especially ones made using loads of finely ground nuts instead of flour. This one, which contains only three ingredients, is from my grandmother’s collection and it’s a good one to serve at Passover, or occasions when you need something that’s gluten free. This cake is particularly moist and it does keep for a few days, although it never lasts long in our house. Preheat the oven to 180ºC (350°F). Line the base and sides of a 25 x 30 cm (10 x 12 in) cake tin with baking paper. Combine the egg yolks and sugar in a large bowl. Using electric beaters, whisk until the mixture is thick and pale and holds a trail when the beaters are lifted. In a large bowl and using clean beaters, whisk the egg whites until firm peaks form. Fold the walnuts into the yolk mixture and then gently stir a third of the whites into the mixture to loosen. Gently fold in the remaining whites, taking care not to deflate them too much. Pour the mixture into the cake tin, smoothing the top even. Bake for 35 minutes, or until a skewer inserted in the centre comes out clean. Immediately turn the cake out of the tin onto a wire rack to cool. For the lemon icing, sift the icing sugar into a bowl then combine with the lemon juice. Whisk until smooth and combined well, adding a little more icing sugar if the mixture is too thin. It should have a drizzling consistency. Drizzle over the cooled cake. “This is something great to eat over Passover when you can’t use butter or flour in cooking. I’m fairly sure the original recipe came from Elizabeth David’s French Provincial Cooking, but mine is based on one from a Jill Dupleix book I have had for years. Jill has been such an inspiration to me as I find her recipes to always be really user-friendly. Heat the oven to 180ºC (350º). Lightly grease and flour a 20 cm (8 in) round cake tin and line the base with baking paper. Place the chocolate in a bowl then place the bowl over a saucepan of simmering water, making sure the base of the bowl does not touch the water. Stir to melt the chocolate, then add the coffee, rum or brandy, sugar and butter. Remove from the heat and stir until the mixture is smooth, then add the hazelnut or almond meal. Cool slightly, then add the egg yolks one at a time, stirring between each addition until the mixture is smooth. Using electric beaters, whisk the egg whites in a large bowl until firm peaks form. Using a large metal spoon, stir about a third of the whites into the chocolate mixture to loosen then gently fold in the remaining egg white. Pour the mixture into the cake tin, smoothing the surface even. Bake for about 45 minutes, or until a skewer inserted in the centre of the cake comes out clean. Cool the cake completely before removing it from the tin; don’t worry if the crust cracks or collapses. ” Judy. Good Life Great Food – what more could you ask for? 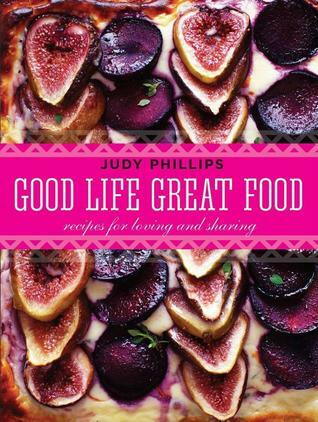 In her debut cookbook Judy Phillips creates simple, healthy and delicious recipes designed to share with loved ones. Inspired by her family, her love of entertaining and favourites from her cooking classes Judy shares dishes handed down from her beloved Hungarian grandmother, her family’s favourites, and delicious, seasonal recipes adapted for today’s health conscious lifestyle. Judy’s influences range from her Eastern European Jewish background as well as flavours from the Middle East, Japan and the Mediterranean to create recipes that are easy to prepare whether cooking for a few or for many. 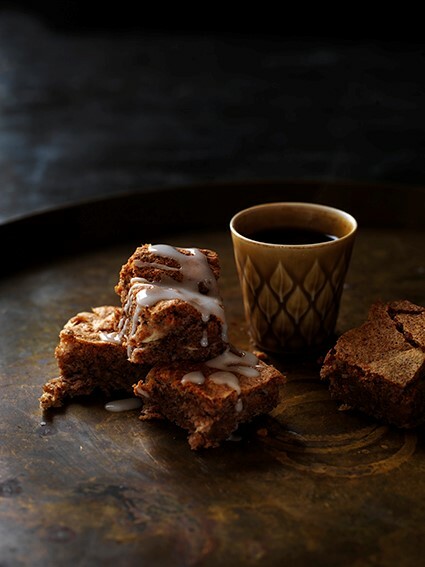 ‘Good Life Great Food’ features easy to follow recipes, simple ingredients and stunning photography designed to inspire anyone in the kitchen. Judy Phillips is a home cook, mother of five and fitness fanatic. In 2012, at the urging of family and friends, Judy started cooking classes from her kitchen in Sydney to impart the tips and tricks she’d learnt from years of creating easy to prepare, abundant, seasonal, healthy and delicious meals. Her debut cookbook, Good Life Great Food: Recipes for Loving and Sharing, is the result of a lifetime of interest in eating well, enjoying the food nature has to offer, and remaining healthy. Judy has degrees in commerce and law and is a certified personal trainer. Her kitchen is the hub of her busy household. 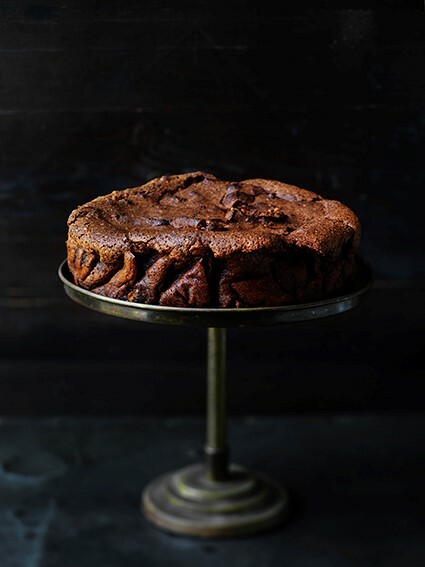 Speaking of food images – I made the Flourless Chocolate Cake the other morning when we had visitors for morning tea – the coffee and rum ( I use a spiced rum) gave this such a wonderful aroma when cooking and added an extra depth to the flavour (I will share this recipe with you later). Unfortunately the cake was so successful that it was devoured before I had a chance to take a photo to share with you, you will have to take my word that this is a simply delicious! 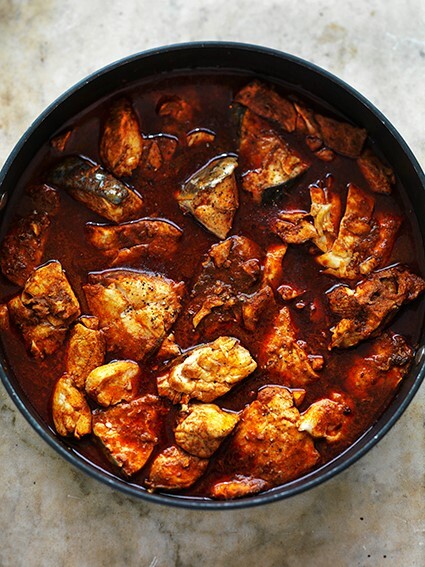 Back to the book – a beautifully presented collection of interesting (particularly interesting to me as I have never made Hungarian influenced foods before) yet simple and easy to make recipes that are guaranteed to find a permanent place in your repertoire of favourite dishes to cook and share. And all profits from the sale of this book are donated to The Black Dog Institute – the perfect reason to treat yourself to a copy of this book (or maybe buy as a Christmas gift for the cook in your life). Why The Black Dog Institute? Like many of us, Judy has witnessed the grief depression can inflict on people’s lives. This inspired Judy to donate the profits from Good Life Great Food to help The Black Dog Institute continue their good work in this area. 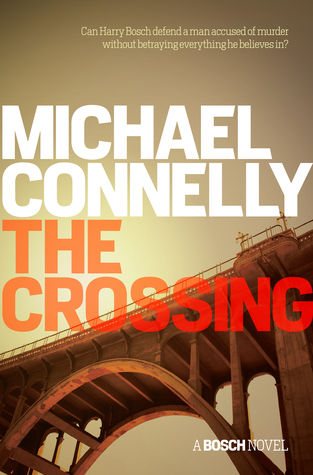 Six months ago, Harry Bosch left the LAPD before they could fire him, and then hired his half-brother, the maverick Defence Attorney Mickey Haller to sue the department for forcing him out. Although it wasn’t the way he wanted to go, Bosch has to admit that being out of the game has its benefits. Until Mickey asks him to help on one of his cases, and suddenly Harry is back where he belongs, right in the centre of a particularly puzzling murder mystery. The difference is, this time Bosch is working for the defence, aiming to prevent the accused, Leland Foster, from being convicted. And not only does the prosecution seem to have a cast-iron case, but having crossed over to ‘the dark side’ as his former colleagues would put it, Bosch is in danger of betraying the very principles he’s lived by his whole career. With the secret help of his former LAPD partner Lucia Soto, he turns the investigation inside the police department. But as Bosch gets closer to discovering the truth, he makes himself a target. This book…the big question now that I have read The Crossing is can this series get any better??? Yes I know I am a passionate fan of the Harry Bosch series, yes I have read every one of the twenty books in this series and yes book number nineteen was great ( and I loved the first few book in the series and pretty much loved al the rest of them) …but this book…just AMAZINGLY GOOD! Now that fervour of admiration has been shared J let’s have a closer less emotional look at the book. The settings- as always – visual and realistic; easy to picture in your mind’s eye the Harry’s house, the bars, the stations, the cheap hotel…the scene of the body drop… The characters – our protagonists Harry and Mickey – empathetic, likeable, with strong moral compasses, the antagonists – the mirror opposites. The narrative – well written, with twisty and knotty plots. The most gruesome scene – p81 – “a shadowed recess beside a pedestrian entrance to a public parking garage…as he moved in the shadows he nearly tipped over something. There was a rustling sound followed by a groan and a complaint…There was a man clawing his way out of a dirty sleeping bag, his belongings in plastic bags lined against the wall…He turned back to the homeless man and made decision. He kicked the man in the ribs as he moved on all fours. Ellis felt the impact of the kick through his whole leg and knew he had broken a bone…before he could scream, Ellis stomped down hard on the man’s throat with all his weight, crushing the air passage. He then backed off and came right back with a heel to the bridge of the man’s nose. The man was silent and unmoving after that.” This blatant disregard for another human being is uncomfortable reading and perfectly reflects the character of Ellis – evil, thoughtless, emotionless and most likely a narcissist. With just a few clinical sentences Connelly has managed to strip Ellis of humanity. Brilliant writing. This is an excellent series that just get better and better. Spanning five decades, from the last days of the 1970s to the present, leaping genres, and barrelling toward an astonishing conclusion, this intricately woven novel will pull you into a reality-warping new vision of the haunted house story—as only David Mitchell could imagine it. First my dilemma – how to classify this intriguing little book? Horror is maybe too strong a word for this – or maybe I am just desensitised to the horror here by my other readings, paranormal – yes an element of ghostly other world here definitely, science fiction – a little maybe – there is the extra “dimension” in the narrative but not set in the future, fantasy – again a little of this here too….perhaps speculative fiction is the best fit? I like this definition by http://www.greententacles.com/articles/5/26/ :“Speculative fiction is a term, attributed to Robert Heinlein in 1941, that has come to be used to collectively describe works in the genres of Science Fiction, Fantasy, and Horror…Speculative fiction is also more than the collective title for works of horror, science fiction, and fantasy. The term also embraces works that don’t fit neatly into the separate genres. Tarzan. Television’s Early Edition. Stories by Sir Arthur Conan Doyle. Tales that span the science fiction, fantasy, and horror genres. Stranger in a Strange Land. The Twilight Zone. Stories by Edgar Allen Poe. Tales that have been labelled simply as ‘weird’ or ‘adventure’ or ‘amazing’ because there was no proper place to put them. Stories on the fringe. 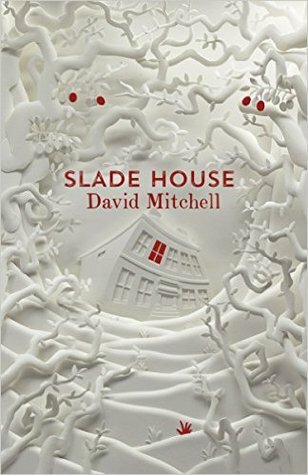 Slade House is a work of intriguing speculative fiction – a narrative that evokes fear, tribulation and concern. As you read you just know something is not right, that the main characters should not enter that building, should leave quickly, and shouldn’t be so trusting… that something bad is going to happen… and of course it does! David Mitchell manipulates his characters beautifully, exposes their weaknesses and egos and hopes and then… tramples on them. Intriguing and enjoyable reading with a couple of delicious twists but for me the ending was just not powerful enough, did not make me gasp or fret or deliver the punch I was expecting. Yet still enjoyable – a book I will recommend and has made me add David Mitchell’s previous book The Bone Clocks to my wish list.